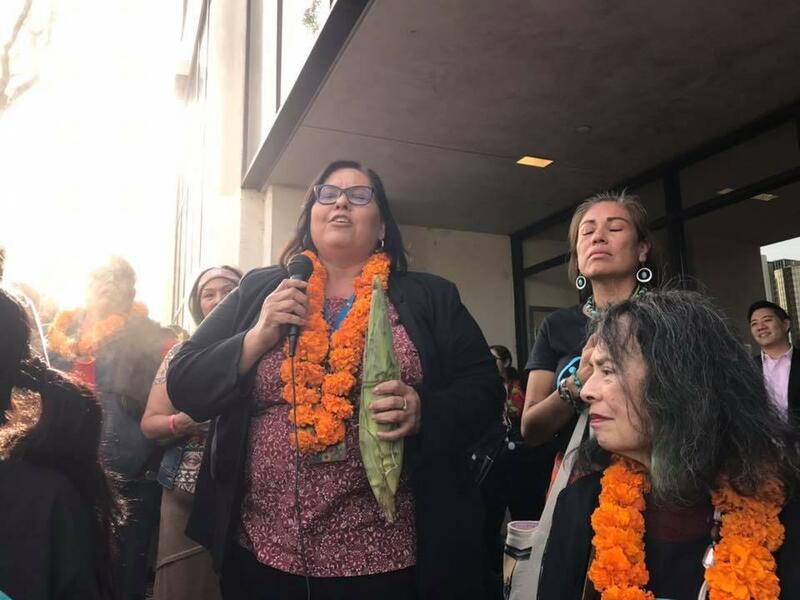 Pueblo, we have earned your support again and thanks to that, Anahuacalmecac World School’s charter has been renewed by the LAUSD. With our mother maíz in our hands and the truth in our hearts, our elders and our children will #rise, #resist and #regenerate for five more generations. Today, the LAUSD Board of Education renewed the charter by unanimous vote. Nimistlasokamachilistle tokniwan We thank everyone for every action, word and prayer you shared in support of our school-kalmekak and our community's children and youth! 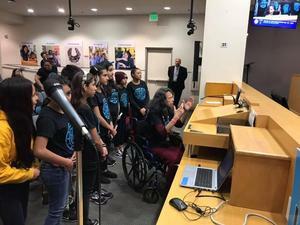 Pueblo, hemos ganado de nuevo su apoyo y gracias a eso, el LAUSD ha renovado el charter de Anahuacalmecac World School. Con nuestra madre maíz en nuestras manos y la verdad en nuestros corazones, nuestros mayores y nuestros hijos e hijas #retoñarán , #resistirán y #regenerarán por cinco generaciones más. Hoy, la Junta de Educación del LAUSD renovó el charter por voto unánime. Nimistlasokamachilistle tokniwan - Gracias a todas y todos! Today, Anahuacalmecac celebrates partnerships with collaborators around the continent and indeed around the world, as we celebrate the inclusion, recognition and cultivation of Indigenous Peoples’ knowledge in our school through a pedagogical focus on cultural inquiry, community building and preparation for college. We refer to this pedagogy as SOBRESISTENCIA, a concept centered upon our survival, endurance and resilience as Indigenous Peoples. Our autochthonous rights are recorded in our codices, our sacred sites, and our oral traditions including the Tonalmachiotl. One of the most powerful testaments to our sovereignty, self-determination and sobresistencia is maize itself: tlayoltsintle-tonakayotl. Since the founding of Semillas del Pueblo, the concept and symbol of the semilla-xinachtli has been a powerful doctrine. Today, we reaffirm a logical extension of this doctrine of xinachtli, the mazorca-yelotl. The doctrina de la mazorca represents our entire community, a complete count of seeds, an infinite number of powers and possibilities at our disposal. Together, our community's rights, responsibilities and roots must redefine our school's next stage. 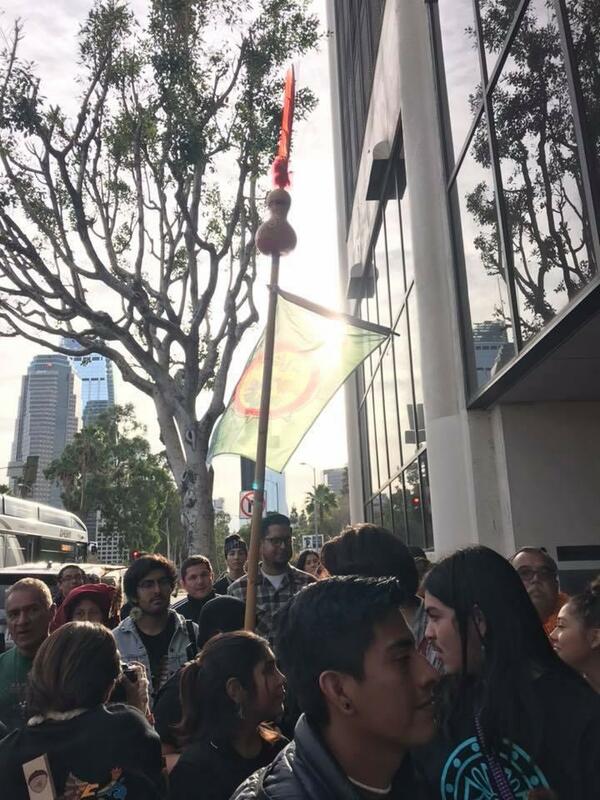 Our families and allies today carried twenty mazorcas de maíz to symbolize our collective pledge to defend the rights of indigenous children and youth. Maize represents permaculture, true knowledge, ancestral wisdom and the need to pursue creative alternatives to the educational barriers the District and the State offer the majority of Indigenous students in public schools. The mazorcas de maíz represent a solemn commitment to the defense of Indigenous children and youth, in unity as a community in struggle.